The perfect size for a large cup of coffee, a big espresso or latte, this tall cherry blossom mug is decorated with the official artwork of the 2013 National Cherry Blossom Festival, courtesy of artist Erik Abel whom is renowned world-wide for his bold use of colors and textures. 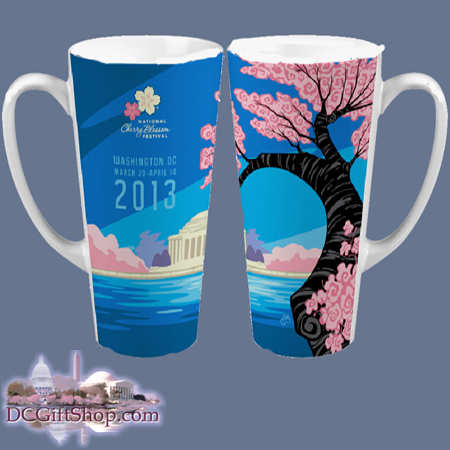 This mug is also both dishwasher and microwave safe and will last for years as a beautiful reminder of the Nation Cherry Blossom Festival as well as the artistry of Erik Abel. It's a showpiece as well as a functional mug.